Another month and another printable for you! 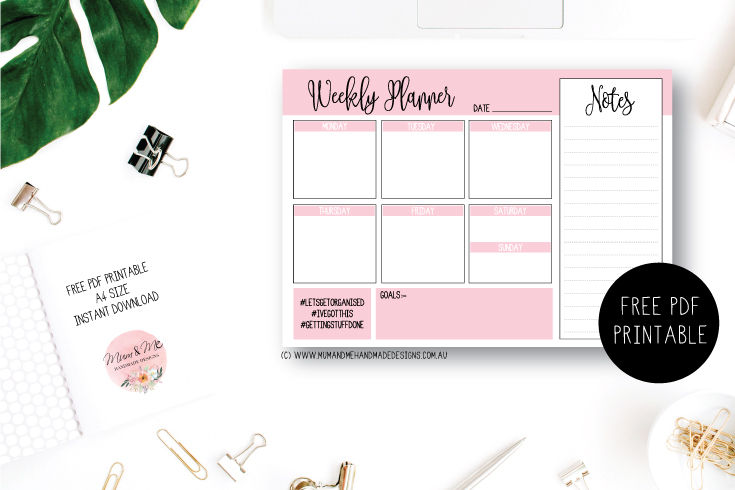 This month I have a fun and functional PDF Weekly Planner in Pale Pink. This bright and stylish design is ready for you to download (see link below) and print at home as many times as you like. This printable is A4 size and great for keeping organised with all your upcoming events, birthdays, bills etc. Print it out and place on a clipboard or place on the fridge for everyone to see what's coming up. There is a weekly goal section and the note section is great to add your Grocery List. 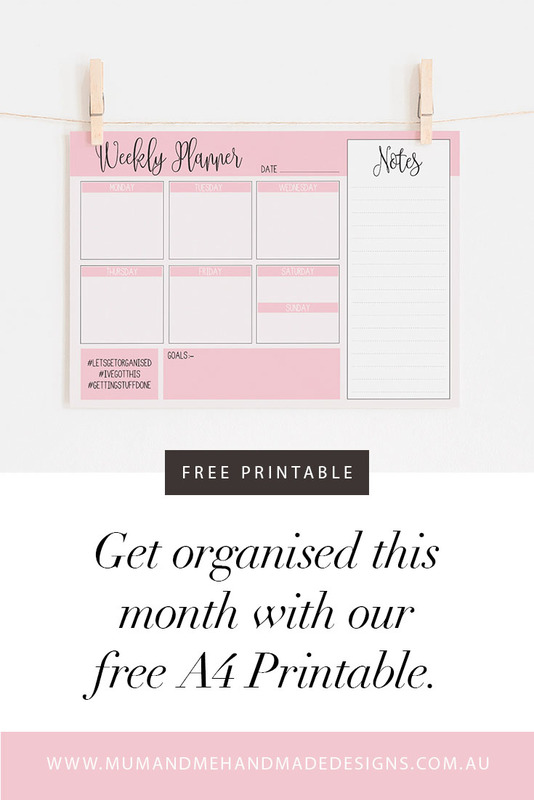 Click HERE to download your free PDF A4 Weekly Planner in Pale Pink. Please note that all free printables from Mum & Me Handmade Designs are for personal use only. Have a wonderful February everyone! Hi, my name is Katrina and I'm the owner of Mum & Me Handmade Designs. An online store selling Greetings Cards, Notecards and Prints.